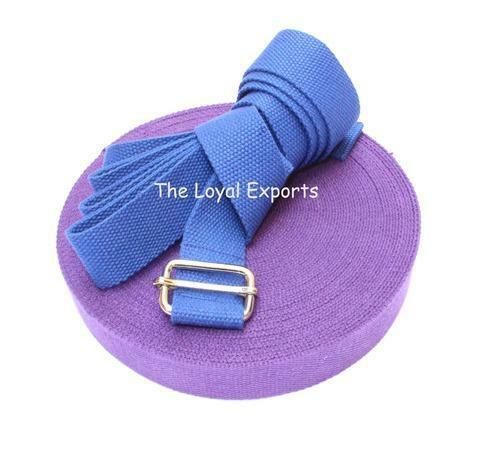 Prominent & Leading Exporter from Karur, we offer yoga mat strap carrier, yoga cotton heavy belt, yoga belt, yoga stretch strap & yoga cotton heavy belt, 7' yoga belt & yoga strap and yoga d-ring belt. 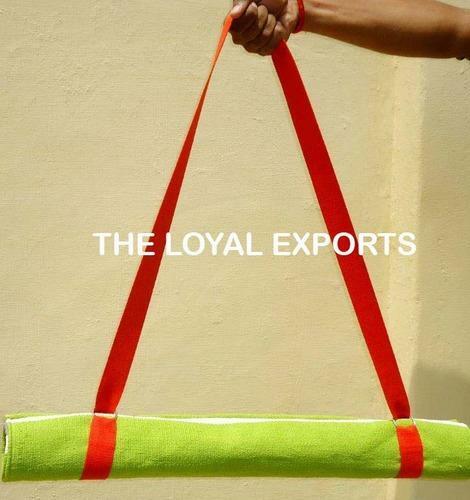 The Quality yoga belts from The Loyal Exports, India.Made out of 100% cotton with heavy buckle. Suitable for al asanas and adjustable length. All our belts are custom made. Size : 7', 8' 9' and above. 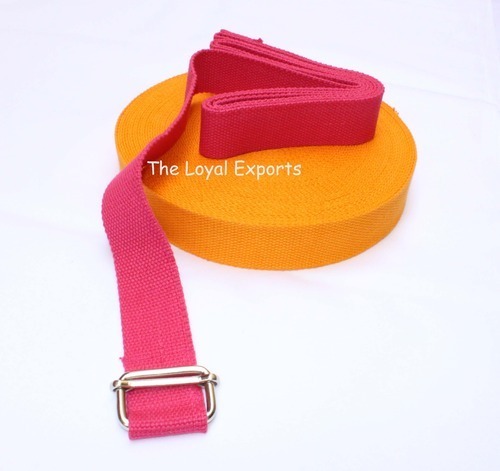 Our Yoga Belts are made from quality thick durable 100% cotton. 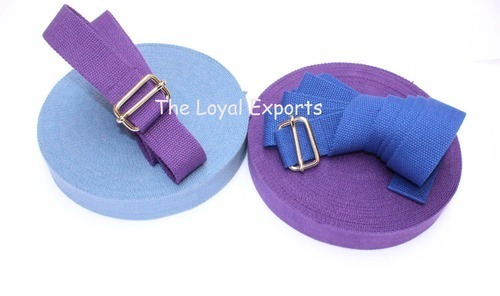 Our yoga belts are available in your choice of D-ring, Snap buckle, Heavy buckle and plastic buckle.We are mainly looking for foreign Enquiries. 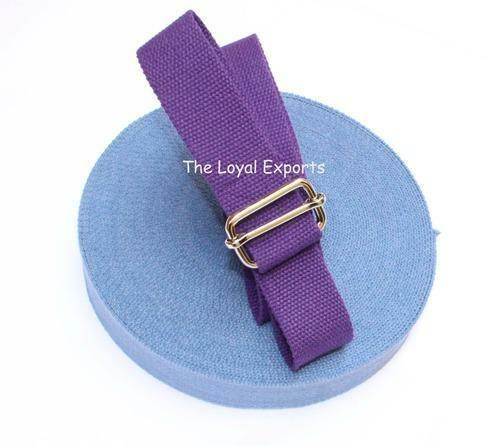 Our Yoga Strap are made from quality thick durable 100% cotton. 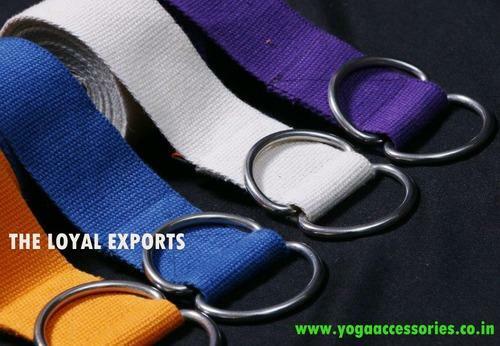 Our yoga straps are available in your choice of D-ring, Snap buckle, Heavy buckle and plastic buckle. We are mainly looking for foreign Enquiries. 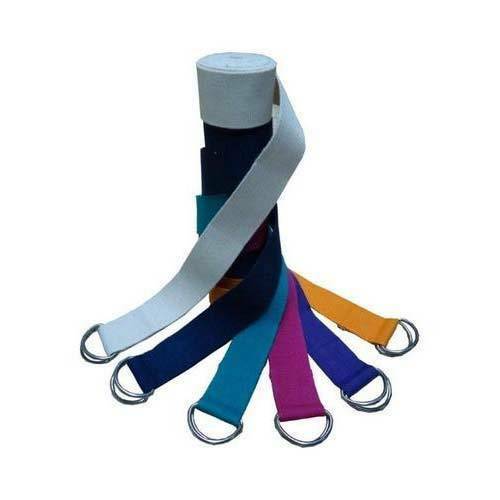 Yoga straps can be customized as per the requirements of our clients. 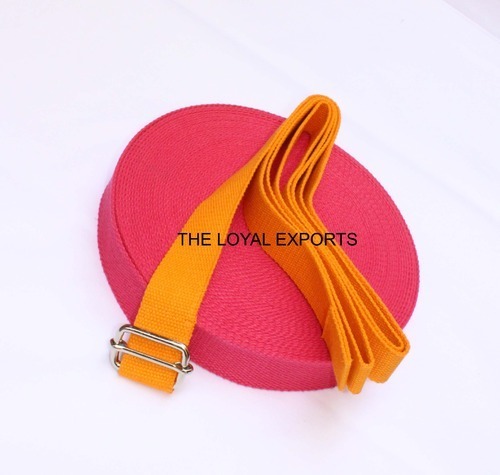 The Quality yoga belts from The Loyal Exports, India.Made out of 100% cotton with heavy buckle. Suitable for al asanas and adjustable length. All our belts are custom made. Size : 7', 8' 9' and above. We offer Yoga Pant. these Yoga pant are made of 100% cotton. 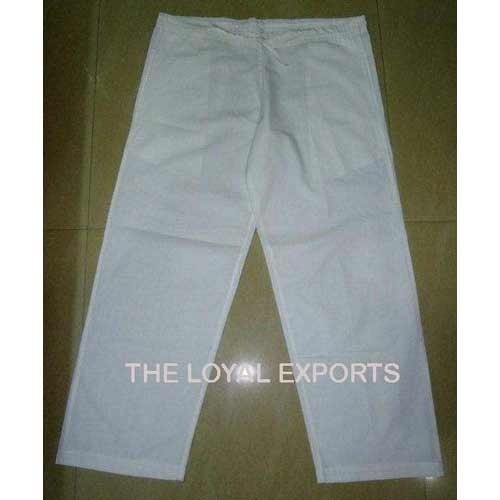 We offer these pants in different patterns, designs and size that can be availed by our customers at competitive prices. We are mainly looking for foreign Enquiries. S (1-3) waist 24-26” hip 34-36"
Our yoga pants can be customized as per our clients requirements.